Belva Ann Lockwood is credited with making some of the most significant advancements for women in the United States during the 19th Century. An educator turned principal turned attorney, Lockwood was a leader in the women’s suffrage movement and a staunch advocate for world peace. One of the first women to be admitted to Columbia Law School, she was denied a diploma even though she completed all of her courses with outstanding marks. 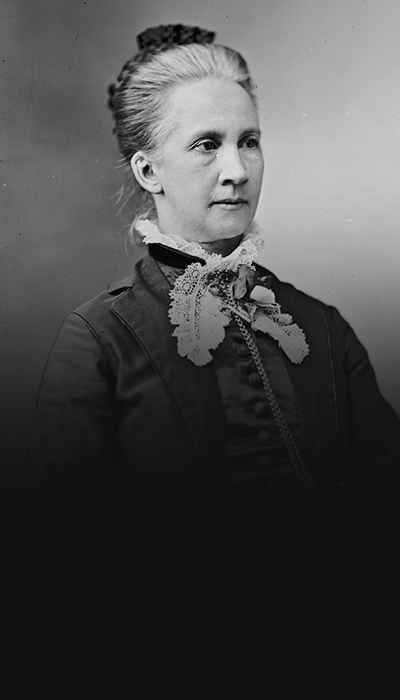 Lockwood was never one to be told that she wasn’t as good as her male counterparts, and she successfully petitioned then-President Ulysses S. Grant to allow her admission to the District of Columbia Bar. Though limited as an attorney at the time because she was female, she successfully lobbied Congress to pass anti-discriminatory legislation, and eventually became the first woman to ever argue a case before the U.S. Supreme Court.